Developmental centers are the most restrictive of the traditional options, putting the majority of the decision making for daily life in the hands of the caregivers. To be placed in a developmental center, an individual must have a high level of support need, usually because of medical or behavioral issues. 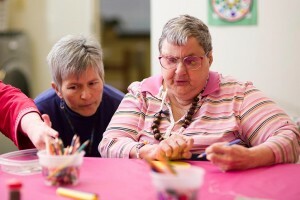 Individuals can also be placed temporarily in a developmental center when no viable community-based option exists and as a last resort, because of a crisis situation. In the past, individuals were admitted into state institutions through the probate court. After the court declared them legally incompetent, the institution’s superintendent became legal guardian. Many stories of poor care in these centers, including incidents of abuse and neglect, have arisen through the years. Now, many policies have changed. Today, state developmental centers are well-staffed, and the services are campus-based and comprehensive. In general, developmental centers are meant to be temporary back-ups to community based services. Superintendents of developmental centers are no longer allowed to be the legal guardian for any resident of the facility. In fact, some residents now act as their own guardian, but more often a family member or publicly funded agency is appointed guardian. The Ohio Department of Developmental Disabilities (DODD) operates developmental centers which feature a campus of buildings for activities and living, called cottages. Each cottage is licensed as an “Intermediate Care Facility“ (ICF/DD), which allows them to receive Medicaid funding. The Ohio Department of Health enforces compliance with Medicaid standards. Licensed group homes offer a somewhat less restrictive environment than developmental centers. In general, those who live in group homes are able to make more decisions concerning their daily lives than those living in developmental centers. They usually have more opportunities to go out into the community as well. Group homes can vary in size. In 1992, a new development rule capped both new licenses and funding for new group homes. Homes in existence prior to that ruling can remain open and accept new residents when there is space. Group homes are typically owned and operated by private, usually nonprofit, agencies. In some cases, the county holds the license and operates a group home. Group homes are licensed by the DODD. The rules and regulations of group homes can differ depending on their source of funding. All licensed homes must meet a rigid set of standards. Officials periodically visit group homes to ensure that they follow the standards of quality necessary to maintain their licenses. These standards include health and safety, protection of individual rights, and active treatment/therapies for residents. The agency running the home is responsible for all basic needs—food, clothing, and care—for the residents of its group homes. However, residents must contribute to the cost of their care. In addition to a portion of earned income, any cash benefits, such as Social Security (SSI) or retirement funds, also go toward room and board. Individuals receive a monthly personal spending allowance from their SSI or other cash benefits to be used for personal expenses, such as dinner or a movie, a magazine subscription, or a gift for a family member. Funding for group homes is typically from one of two sources in Ohio. Some homes, such as Intermediate Care Facilities, are fully funded through Medicaid. Otherwise, in most licensed homes the services are paid for through a Medicaid Waiver. 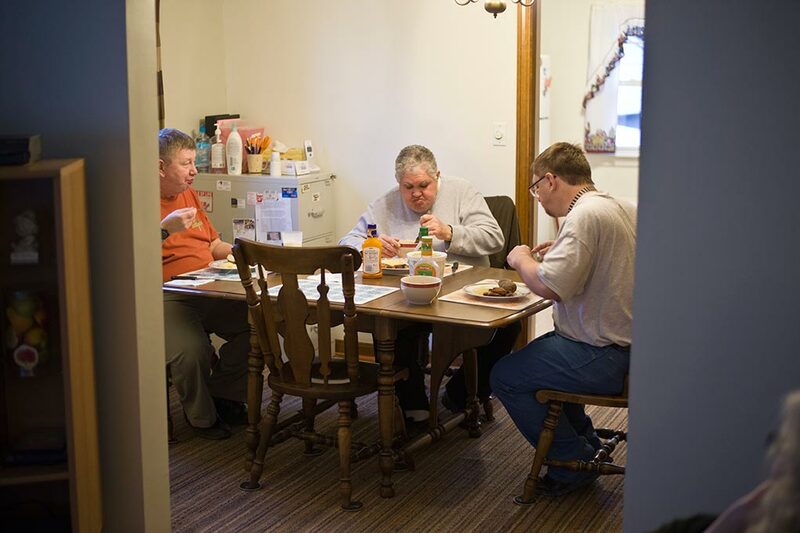 Shortly after Ohio passed the regulation in 1992 restricting the development of new, government-funded group homes, a new concept in housing for people with intellectual disabilities became popular: Supported Living. 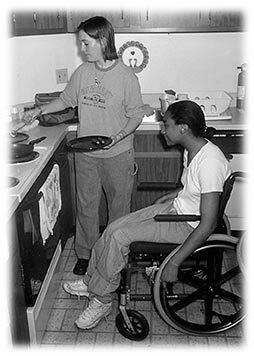 Supported Living services provide assistance to individuals whether they live in their own homes, apartments, or in the homes of relatives or friends. The goal is for the individual to take an active part in the community and remain healthy and safe at the same time. The scope of services a person receives varies from 24 hours a day to only a few hours each month to assist with specific activities such as paying bills or going to medical appointments. A resident’s team determines the specific services needed and spells those out in the Individual Service Plan (ISP). In addition to developing the ISP, the county board also monitors the service provider. Team members meet regularly with the person receiving services and his or her guardians or families to ensure that all health and safety needs are being addressed. With Supported Living services, up to four people can live together. In addition, the owner of the home and the provider of services to the home must be separate entities (unlike a group home, in which the agency can be both the homeowner and the provider of services). With Supported Living, individuals and their families choose from a list of providers. Funding for residential supports is not automatic or mandated. It is based on the availability of funding. The state and county boards are responsible for making a limited pool of resources serve all eligible individuals. The vast majority of supported living services are funded through Medicaid Waivers but the county board may also provided some limited funding. Medicaid Waiver funds pay only for services provided to the individual, not for housing or other living expenses. Individuals must use their own funds to pay for housing, this usually comes from Social Security benefits. The intellectual and developmental disability (IDD) service system is mandated to follow a hierarchy of service funding. The purpose of this hierarchy is to only use government funding when absolutely necessary.